Eternal Security: Is Your KidMin Area Really Safe? It is incredibly tragic when a child is placed in the care of a church and something horrible happens. You’ve probably seen stories of molestation occurring in a church and even during a church event. This is a very heavy topic and a hard blog to write, but it’s very important. There are even instances where the accusations proved false but the simple allegation destroyed a church’s credibility. So two things are at stake; The safety of the child and reputation of the body of Christ. Here are some basics that you need to cover this week. Like, right now. Like, don’t do anything else on your to-do list until this is done. 1) Hard-screen volunteers. Do a formal application that includes references and permission to do a background check. Follow up with the references and do state and federal checks. Repeat this with volunteers a minimum of every two years. 3) Write written procedures for every possible scenario you can imagine. It’s better to be safe than sorry. Write rules for adult-child ratios. Write rules for number of adults per rooms. Develop procedures for potty breaks for kids. Vet out check-in and drop-off procedures. Leave no stone unturned, as they say. Did I mention that writing these is not enough? You need to make sure that your leaders know and understand them. 4) Be consistent in enforcement. Small exceptions lead to larger exceptions, which soon become the norm. For example, I know that I know the pastor’s wife. I know that she knows that I know her. However, the guests in line behind her don’t know either one of us and they may get very upset when I allow her to pick up her sweet children without her security tag. Here are a few things to try. You wouldn’t want any leader to be embarrassed in this process, so use discretion when conducting these tests. 1) Visitor Test – Have a trusted friend visit your church. (Someone that no one would recognize.) Have them test the boundaries of your ministry’s security. See how long they can roam around your area until they are questioned. See if they can get a badge and put it on, appearing to actually be on your team. You’d be surprised that many churches have their “security badges” with no photos, hanging out for anyone to take. In larger churches, many volunteers don’t even know each other, so this neutralizes badges as a security measure. 2) Lock-down Test – You don’t need to have an actual test, but your leaders need to be well-informed in the case of an emergency. What happens if an intruder is identified? What does a “lock-down” look like? Does your pastor/leadership have codes and procedures clearly defined? Where are kids taken if there is a fire? You don’t have to run drills, but you should ask your leaders if they know what to do in these cases. 3) Who you gonna call? Test – So that multiple people are not communicating many messages to several people, you need to test and see if everyone knows your “chain of command.” If anything were to ever happen in your church, the first question that comes from the outside will be “Who’s in charge.” You want everybody to be able to answer this question. 4) Have your own insurance company audit your security process. They’ll know what to look for. Consider video monitoring of all public spaces. This not only allows for a more secure environment, it is a great deterrent to potential violators. Obviously, our priority to lead kids to Christ is our prime directive in ministry. However, your ministry area needs to be secure. We can’t offer them eternal security until we offer them security on Sunday morning! 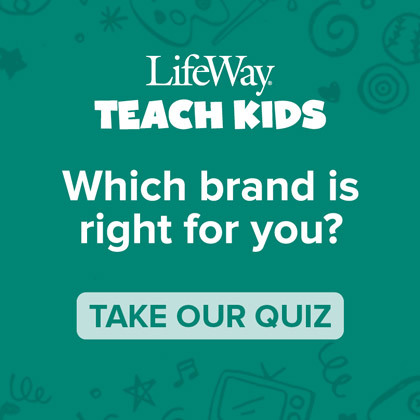 Jeffrey Reed serves as the KidMin partner for LifeWay Christian Resources. His ministry experience includes everything from worship leader to senior pastor to, of course, children’s pastor. He, his wife, and their four kids live in Spring Hill, TN. It’s not impossible. It’s not easy either, but it is possible that you might get to a point in your ministry when you have enough volunteers. At almost every kids ministry conference, breakouts on recruiting and keeping volunteers are almost always full. Many key voices in ministry have written books on the topic. My hope is that you find something new in this post that you’ve never seen before. I also hope that you might find the formula that works best for you in your church. Aim high and trust God. His resources are limitless. My hope is that you have more volunteers than you need. Let’s start with this; Volunteers Make Things Click. It’s a truth as well as an easy way to remember these four values. Take the first letter of each word in the phrase and use the following foundational values for the volunteer process in your church. Try to hit each one of these or the system gets wobbly. V. M. T. C.
This is critical. What’s this look like on the other side? Do you want one leader for every kid? Isn’t that ideal? Maybe. What if you had one leader for every 10 kids? Seems low. But what if those leaders are the “I’m all in” kind of leaders that show up early and leave late for everything you do? Only you can determine what you need, or better yet, what God can use. Cast this vision. Be reminded that God normally accomplishes His will with much less than we think is necessary or even possible. Write down HOW MANY volunteers you need and WHEN you need them. Ask others to pray for these specifics. Utilize students. Consider putting new or even non-believers in non-teaching roles. Before you over spiritualize only using believers, consider the multiple people that Jesus used during His ministry to do profound things. It’s also important to remember that people don’t follow people, they follow vision … or people WITH vision. Continually share it and recruit for it. If I lived in your neighborhood and you asked me to help you cut your yard, I would be reluctant. What’s in it for me? You might say that I get to live next to the prettiest yard around? Ehhh. I’d find a reason not to help you. What if you said that our neighborhood might get a free cookout if your yard wins a yard-beauty contest? Well, maybe, but still, I’m not into cookouts. But what if you changed your question? What if you asked if I would mind helping you cut the yard of the lady next door … the single mom who barely gets home before dark each day? That’s a mission! I’d jump in. I’d want to see that mom’s face the first time she pulls up in her driveway and her yard is finely manicured! Don’t merely call on the people in your church to serve in your ministry because a need exists. Don’t even bait them with the cool factor. Call them to go on a mission with you to serve families in great need. Call them to go on a mission trip without leaving the walls of your church building. (That might come later!) Kids need Jesus. Families need faith. We all want to see the faces of those families that God has used us to reach when they enter into eternal life. These next two will help you to RETAIN the volunteers that you recruit. Express gratitude consistently and constantly. Take a note from the apostle Paul and thank God for those with whom you serve. Do it publicly. Do it personally. Do it en mass, annually. Remind them that we are all serving the Lord together. Tell stories. When a leader knows that they were part of a child or family’s eternal transformation, they will be back for more. Leave no room for surprise or expectations in your volunteers. Even if you, like me, are not the most organized leader, your volunteers need to feel like they are of prime importance to you and are not only “in the loop,” but “insiders” in your ministry. Let them take the lead. Let them be the stewards of the ministry that God is doing. Test question for whether you are on track; If you left your church next week, would your volunteers carry on every component (at least for a season) without you? That’s what we’re going for here. Oh yeah; wash, rinse, and repeat. Don’t ever stop this process. Don’t make recruiting a seasonal occurrence. Make it a permanent passion. 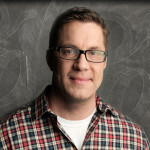 Jeffrey Reed serves as a Kids Ministry Specialist for LifeWay Kids. He has served as a worship leader, director of children’s ministry, and on the executive leadership in several growing congregations. He, his wife Katherine, and their four kids live in Spring Hill, Tennessee where they serve each week in their church’s Kids Ministry. I see it at nearly every church in which I’ve served or with whom I’ve consulted over the last decade. Whether you are a volunteer, a part-time, or a full-time KidMin leader, you’ve seen it happen in different settings and at almost every level. Notice two things about each phrase. Each ends with an exclamation point. When we are ready to quit or do something drastic or simply want to be heard, we tend to “exclaim” it. The second thing to note about each phrase is that “I” has become the central figure of concern. KidMin leaders DO experience burnout at a high level. However, here are some things that may not only help you avoid burnout, but allow you to thrive in the midst of a crazy KidMin world. Organize and strategize post-event “resets.” Before you plan a VBS, program, camp, or another massive kid event, plan the post-event clean up. DO THIS FIRST. Get a point person to oversee or help with the process. In fact, find someone who is not involved in the event at all or even in KidMin. You just need an administrative organizer for this. This person’s sole responsibility is to make sure that everything is cleaned up, put back, and ready for next Sunday. They should have a team that begins to reset things the very moment that the event ends. If you ask most pastors, they’ll say that this is one of the most neglected components of event logistics. “Leave it better than you found it” is always a good rule. Put recoup in your schedule. Work with your pastor to insure that you get a regularly scheduled time to “retreat.” Plan these times regularly and with intention. Plan on praying, reading God’s Word, and just dreaming about what plans God might have for your ministry. You should be getting away for a day at least once every other month. Plan them before you need them, knowing that you WILL need them. Organize your leaders with a plan for migration. We want volunteers who are consistent and committed. Many people want to help, but are not willing to make long-term or full-time commitments to it. I’ve always put volunteers into three buckets. The first bucket is short term. These folks are generally the ones that volunteer for an event or a trip. It’s the easiest one to fill, but you want to try to move these folks to the second bucket, which is long-term/part-time. These are leaders who will commit to serving for a season or more, but only every other week or so. Great group, but we want them in the last, golden bucket of KidMin goodness which is long-term/full-time. All three buckets are great, but I’ve seen that leaders who have this bucket to the brim tend to experience burn-out the least. Leaders who are committed to the long-term KidMin in your church and show up every week to help lead it are the MVPs of KidMin. Surround yourself with leaders who will help you with the previous four items. Don’t go this alone. You might even consider leaders OUTSIDE of your ministry area. While people who are in the trenches together can support each other, it’s wise to have folks who serve the body in other areas and whose gifts include encouragement. In the end the end, you might still make those statements, but you won’t have to shout them as loudly and you won’t be alone in your fervor for seeing kids come to know Jesus. 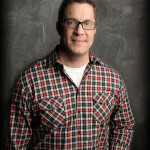 Jeffrey Reed serves as a Kids Ministry Specialist for LifeWay Kids. His ministry experiences include worship leader, director of children’s ministry, and has served on the executive leadership in several growing congregations. He, his wife Katherine, and their four kids live in Spring Hill, Tennessee where they serve each week in their church’s Kids Ministry. We can’t offer the perfect environment to the kids we lead. We can’t be perfect teachers. After all, we aren’t perfect. The kids are cute, but they’re definitely not perfect. Our buildings aren’t perfect. However, we can get very close to a perfect scenario in what we offer. We CAN offer them expertly crafted lessons; sessions, in the framework of a wise-plan of discipleship. Here are five things that can give you the best possible scenario for teaching kids. 1) The Plan is strong. There is a framework of lessons, often called “scope and sequence,” that has an intentional journey through scripture. Maybe that journey is a cycle through key Bible stories. Maybe it’s a chronological trip through the Bible. Maybe it’s a book-by-book scope. Perhaps it focuses on key Biblical truths. Whatever the case, you should be able to step back and look at your curriculum and say, “That makes sense.” It helps greatly when the key monthly or quarterly truths can be pulled straight from scripture and point kids to God, not themselves. 2) Experts craft it. The lessons and scripts are crafted by vetted experts. 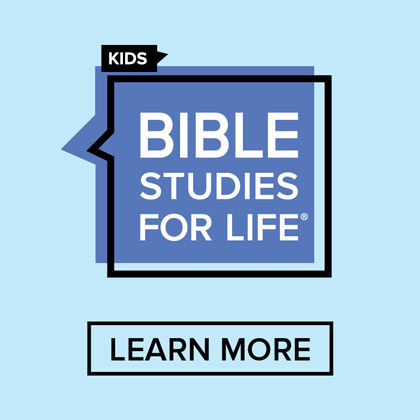 Ideally, you want to use a curriculum that has been run through the “ringer” for theological strength, relevance to kids, and educational gauges: Seminary PhDs, KidMin leaders, Parents, Educational experts, Developmental experts. All good. 3) Christ-centered lessons. The language of the lessons would compel a child (and leader) to consider the attributes of God (i.e. his holiness, righteousness, mercy, grace, etc). These are the key components of God’s nature that allow Him to work in and through us. 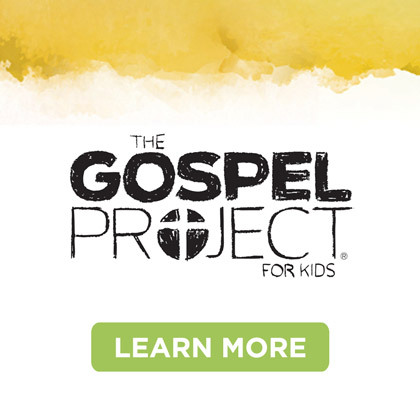 Does the lesson challenge a kid to “Go out and do this because this Bible character did it.” or to “Do this because of who God is?” There is a huge difference and it shapes a child’s theology. 4) The Church partners families to Jesus. You treat the classroom as an extension for what happens at home. This won’t always be the case, but you want your language to reflect the expectation that the church has in that it wants parents to be the primary spiritual source in their kids’ lives. 5) Leaders are well-trained. Every volunteer and teacher knows the plan and how each lesson fits into it. 1-3 above have everything to do with your curriculum. 4-5 have more to do with weekly strategy and will require constant work. 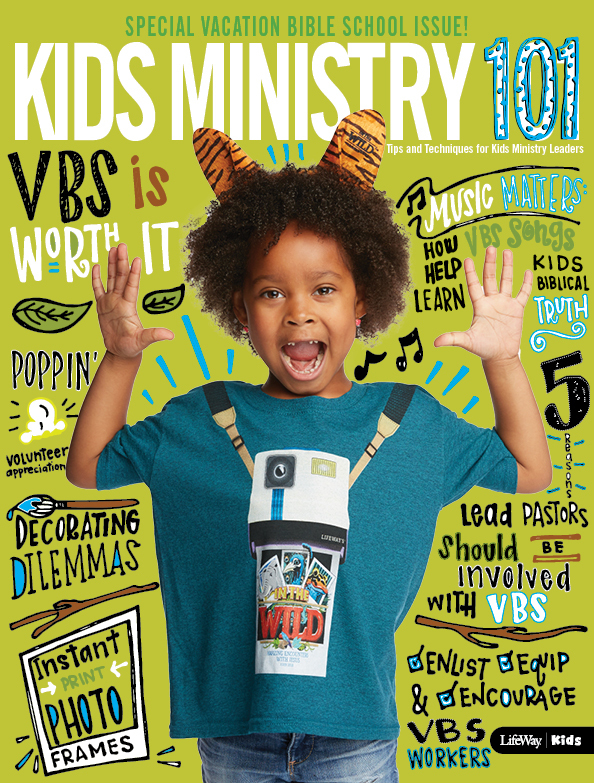 Choose your curriculum wisely and strategize how to imprint God’s Word into the life of your kids and families. This gives you the greatest chance for success. 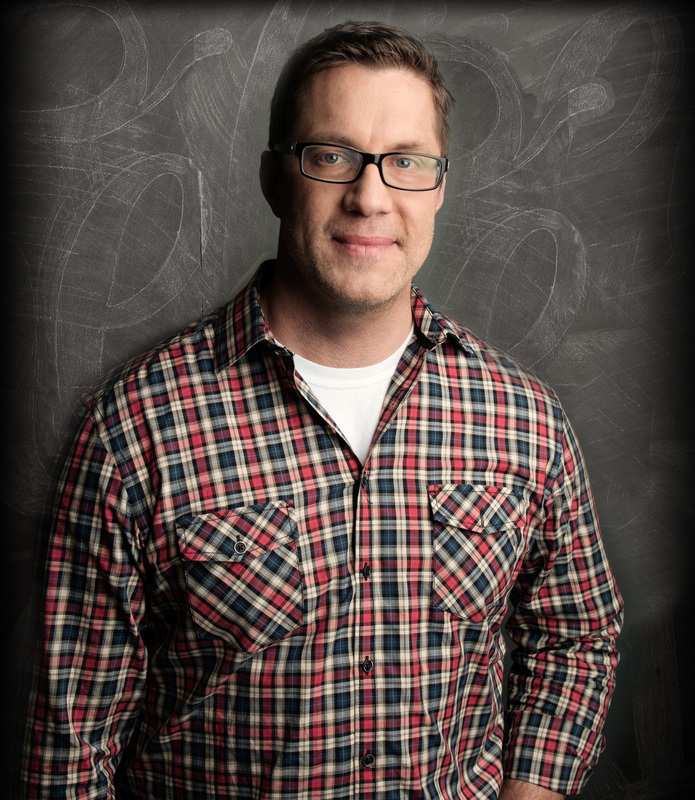 Jeffrey Reed (@jeffreymreed) serves as a Kids Ministry Specialist for LifeWay Kids. He came to LifeWay with a wide variety of ministry experiences including worship leader, director of children’s ministry, and executive leadership in several growing congregations. 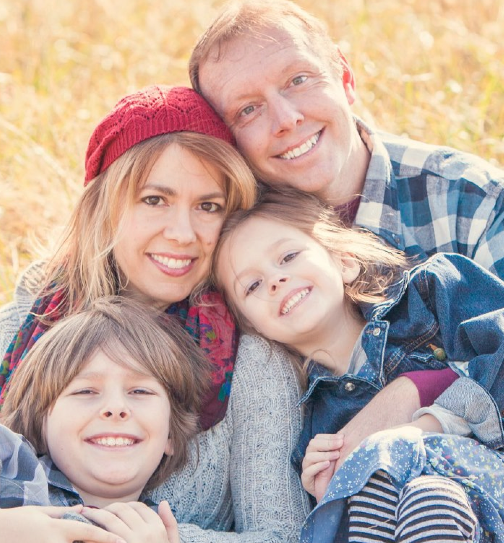 He, his wife Katherine, and their four kids live in Spring Hill, Tennessee and serve on the staff of The Church at Spring Hill. This is not the new list of curse words. In fact, there is not a new list. Those words haven’t changed that much. There may be a few acronyms and derogatory terms that have arisen and might be said by younger and younger kids, but they are not entirely new. While we should be concerned with THAT list, the following is a list of statements that are consistently being made by kids and teens. Here is the irony. Over the last 10-15 years, churches might actually have succeeded in getting kids and students to stay plugged into their churches well into adulthood. Although this is worth celebrating, we might have shaped their theology to the point that it has little to do with Jesus. Two of my kids are teens. Another is a preteen. Yet another is in elementary school. These are theological statements that their friends have made in the last year. My kids have many friends who don’t follow Jesus, but these words are from kids who say that they are Christians and go to church regularly. Or, should I say, be very concerned. Some of these statements flirt with truth. Some are just wrong. Here’s the truth, as best we can determine, with a little backing from God’s Word. 1) People will be offended, no matter what you say, when it threatens a belief that they hold dear. Even “forgiveness” is an offensive idea to someone who doesn’t see the need for defining right and wrong. (Galatians 5:11-12) Some say that an inoffensive gospel is no gospel at all. As secular thinking bleeds into the church, we need to stand firm and lead our kids with strong theology. Much should be made of Jesus. And the reason it’s worth it all! May the story of God sending His Son to save us from our sins never get lost in the glitter, glue, and “stuff” of our ministry! Merry Christmas! I didn’t grow up in the church. In fact, I am still the only follower of Jesus in my immediate family. I love it when one of my parents or sister get to visit us at my home. All four of my kids have received the Lord as their Savior, and we get to love on our guests in ways in which they are probably not accustomed. 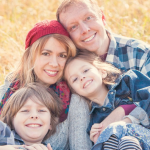 Despite our quirks, our family is a fun group, and my kids talk about God on a regular basis. Our home is a warm and inviting place to hang. So am I doing anything that might give my kids a chance to share their faith with their grandparents, aunts, uncles, and other relatives? I should be. After all, children can be amazing evangelists when they know what they believe. Are there kids in your church who have parents that don’t walk with God? It’s VERY likely. So gear up and get ready. In the weeks leading up to the holidays, here are five things you can do that might allow the children in your ministry to share their faith with their family and friends. 1) Practice some prayers of Thanksgiving at church and encourage the kids to volunteer to pray before a holiday meal using these prayers. Can you imagine what it would mean to a visiting relative to hear this child thank God for them, that they are precious, and that Jesus died for us all? That would be moving! 2) Utilize the tools that come with the curriculum you use. Hopefully, your curriculum has some components that involve interaction with parents/guardians. Instruct the kids in your care to “teach the Bible Story” to their grandparents using the visuals or handouts that go home with them. 3) Memorize scripture in the weeks leading up to the holidays. Try verses about the Nativity. In addition to the tried-and-true John 3:16, there are multiple verse on thanksgiving and gratitude to God. 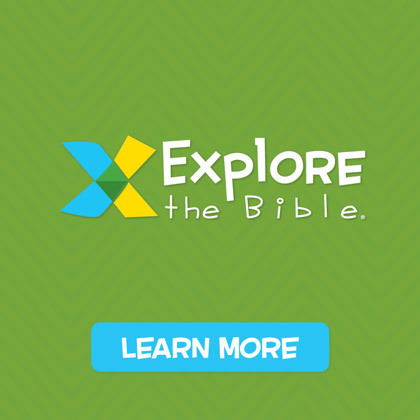 Consider helping kids memorize an Old Testament passage that prophesies the coming Messiah, Jesus. 4) For crafts, work on gifts that kids can give to relatives. Don’t end there. Teach the kids a story that they can tell as they give the gift. 5) Compel the kids to invite their visiting relative(s) to church. It’s easy to turn down an adult. It’s hard to turn down a young child, especially if that child bribes the grandparent or relative by offering to take them to McDonalds after church! This season, pray not only for the children in your ministry, but also for the impact that they might have on those around them as they take up the mantle of the church’s next generation! Jeffrey Reed came to LifeWay with a wide variety of ministry experiences including worship leader, director of children’s ministry, and executive leadership in several growing congregations. He, his wife Katherine, and their four kids attend The Church at Spring Hill.